Awesome victory for Andreas Seewald of Team Rocklube Revolutional Racing. He has won the Swiss Grand Raid BCVS marathon race on his new Konstructive AMMOLITE race fully (Radl Rasti team design). After 125 km and 5,025 m of vertical climbing Andreas finished on top of the podium. Congratulations for this great result! Team Konstructive Dream-Bikes.com finished second overall in the Veteran 80 team division at the BC Bike Race 2018. It’s showtime in Berlin. The Berliner Bicycle Show is ready to open from 23rd to 25th of March.  KONSTRUCTIVE CYCLES will present all new bike models. We have had very exciting years so far and are very happy about the joy that our customers have with their custom bikes. Now, we would like to celebrate and will release some 5th Anniversary surprises very soon. We keep you posted. The analysis of the bike’s ride characteristics and product composition reveals the AMMOLITE’s efficient suspension system and great complete bike package with clever component selection. The FOX GX Eagle Elite bike is the lightest bike of the test field with a complete weight of 9,85 kg. Very nice article about KONSTRUCTIVE Cycles Berlin in this month’s issue of World of MTB magazine Germany.